Are you looking to buy the best phone under 10000 in Nepal? If so, we are here to help find the perfect phone for you. In 2018 choosing a phone under 10000 can become troublesome for some buyers. In the event that you are in the market searching for the phone, you’ll most likely end up with too many options to choose from. You need to break down every last detail of the phone and wind up comparing it with hundreds of other devices. So, to make your task a bit easier, we’ve made a list of some of the best smartphones under 10000 in Nepal. This list includes the best Android phones from reputable companies which offer good value for money to consumers and brings uncompromising performance and build quality. Some of the listed devices support 4G VoLTE, HD Display and are even equipped with a capable processor. So without much ado, here’s our list of the best smartphone under 10000 in Nepal. Huawei Y3 2017 was launched in May 2017 and has recently stepped up into the Nepali market. The phone comes with a 5.0-inch display with a resolution of (480*854 pixels).It is powered by 1.1Ghz quad-core processor coupled with 1GB of RAM, 8GB internal storage which can be further expanded up to 32GB via a microSD card. The phone packs an 8MP rear camera with f/2.0 aperture, LED flash and you’ll get a 2MP front shooting camera. It has a battery of 2200mAh non-removable battery. Currently, Huawei Y3 2017 is available in 5 different color Gold, Pink, Blue, White and Gray at just Rs.10000. If you are looking for the best smartphone under 10000 with a great quality camera then Huawei Y3 2017 is the perfect option for you. Nokia 1 runs on Android 8.1 Oreo operating system which is the key highlight of the device. 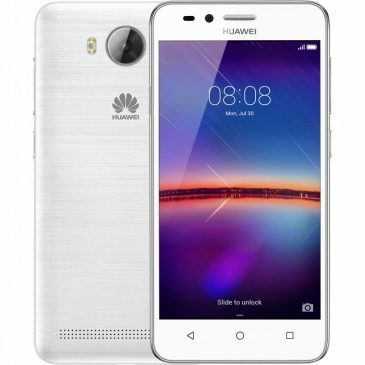 The phone is powered by 1.1Ghz quad-core MediaTek MT6737M processor. It features a 4.5-inch FWVGA IPS Display which offers a screen resolution of 854 x480 pixels. It has 1GB of RAM and 8GB of internal storage that can be expandable up to 128GB via SD card). Nokia 1 has a 5MP rear camera and a 2MP front camera. The device is backed up by 2150mAh removable battery. Other connectivity features are Wi-Fi, Bluetooth, 3G, Dual-SIM. Coolpad has recently launched a new 4G smartphone in the sub-10K range called Coolpad NX1. The Coolpad NX1 has a 5.0inch HD(720 x 1280) pixels display featuring a 1.0GHz Quad-Core MediaTek MT6735P processor and 1GB of RAM. In the camera department, the phone comes with an 8MP rear camera with f/2.4 aperture, autofocus, dual-LED flash and 2MP front camera with f/2.4 aperture. There is 8GB of internal storage that can be expanded up to 64GB via a micro-SD card. The device comes with a fairly large 2000mAh battery. Currently, the device is available in two-color variants: Black and White. Connectivity options includes 4G LTE, Wi-Fi 802.11 b/g/n, Bluetooth 4.0, GPS with A-GPS, USB 2.0. According to me, Coolpad Nx1 is the best 4G smartphone you can buy under 10000 in Nepal. ZTE Blade L5 Plus runs on Android v5.1 Lollipop and powered by 1.3Ghz quad-core MediaTek MT6580 processor. It features a 5.0 inch HD display with a resolution of 720 x 1280 pixels. It packs a 1GB of RAM and 8GB of internal storage( expandable up to 32GB via SD card). Blade L5 Plus has an 8MP rear camera and a 2MP front camera. The device is backed up by 2150mAh removable battery. Other connectivity features are Wi-Fi, Bluetooth, 3G, Single-SIM. Best thing is, the phone offers a decent HD display considering its price. Colors Pride P85 is one of the most affordable smartphones in Nepal which comes with a fingerprint scanner. The device has a 5.0-inch HD IPS Display. The display is flaunted with HD resolution of 720 x 1280 pixels. It is powered by 1.3GHz quad core processor coupled with 1GB of RAM and 16GB of internal storage which is expandable up to 32GB via a microSD card. The rear camera is 8MP with triple LED Flash support and 5MP front camera for shooting selfies. It comes with Android v6.0 Marshmallow out of the box and a large 2500mAh removable battery. Connectivity option includes 2G/3G, Wi-Fi b/g/n, Bluetooth, GPS and Dual SIM. Currently, the device is priced at Rs.9995 and available in two color options: Golden Black and Golden White. If you are looking for the best smartphone under 10000 with good battery backup and fingerprint sensor then Colors Pride P85 is worth taking a look. Here’s our list of the best smartphone under 10000 in Nepal right now. Which smartphone do you think should have made this list? Do Let us know your favorite phone down in the comment section?